"A Subperb Start to the Season"
Well, that was a pretty darn amazing hour of television. For a show that so often has trouble balancing character and action, "No Sanctuary" proved that The Walking Dead can, in fact, give viewers a little bit of everything without sacrificing quality. I am so incredibly impressed with what went down in this episode, that I'm almost speechless. I like to tell people I have a bit of a love/strongly disappointed relationship (strangely, never a hate relationship) with The Walking Dead. When the series is good, it's among the best on television. When it misses the mark, it really misses the mark. But "No Sanctuary" managed to find the perfect balance between action and character, giving us some truly awesome zombie kills alongside some much needed character development. As most everyone expected at the end of season four, Terminus is not a sanctuary at all. It is, in fact, a haven for a particularly horrific group of cannibals, who, it turns out, used to be "good" people before taking in the wrong group. While the through line is pretty obvious, it once again brings home one of the central themes of the series: the real danger in this new world isn't the walkers, it's the people. And, while I don't foresee Rick and company turning to cannibalism themselves, there is clear evidence that in this new dark world, our heroes are no longer going to be completely white-hatted good guys. In this episode alone, Rick, Carol, and Tyreese have begun diverging from the previous party line of protecting the living, and are beginning to realize that just because someone is human, it doesn't mean they don't deserve to live. Considering how large the central cast has become, we all know a culling will happen before the end of the season, but I was shocked that the group made it out of Terminus with no casualties. 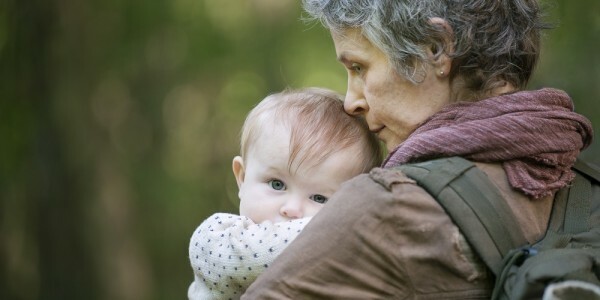 I thought for certain Baby Judith would bite the dust, but I'm kind of happy to see Lil' Asskicker live to fight another day. But amongst the darkness, it was wonderful to see Carol once again given the chance to shine as the catalyst for the group's rescue. Season four's MVP once again proved herself the most complex and interesting character on the series, as she single-handedly destroyed Terminus. I know I've mentioned it before, but I continue to be amazed at how well written Carol has become. 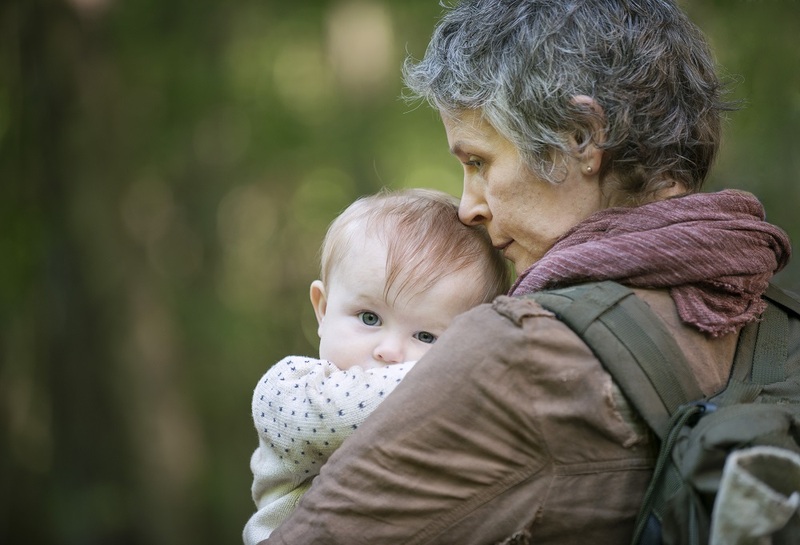 One of the weakest characters at the show's outset, Carol (thanks in no small part to the writers and Melissa McBride's excellent work) has blossomed into a hardened, darker, yet still nuanced, character. When she's onscreen, you honestly don't know what she will do, and on a series where so many characters are one dimensional, it's a true joy to watch her. 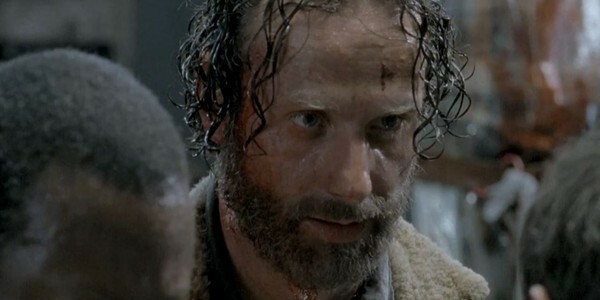 Seeing Rick slowly shade into a similar place of darkness and survival gives me continued hope that the series will begin to push other characters into this morally ambiguous gray area. After all, it's no fun to watch only good and moral people during the zombie apocalypse. Finally, I have to praise the show's writers for taking the strong step of ending the Terminus situation after one episode. The Walking Dead has a history of bleeding stories until there is not a single drop of blood left, which only serves to hinder the show. Getting us in and out of Terminus in the span of an hour? That's practically revolutionary. But also taking the time to bookend the episode with flashbacks, giving Terminus depth (while also hinting at some very bad people who might still be out there for our gang to run into) was brilliant. Seeing that once upon a time, there was goodness in the darkness makes it even more horrific to see who these people have become. Having the gang dispense with them and move on, perhaps into even more danger, ratchets up the tension in a delightful manner. It was a thrilling and smartly crafted premiere, and I am certainly hyped for the season to come. 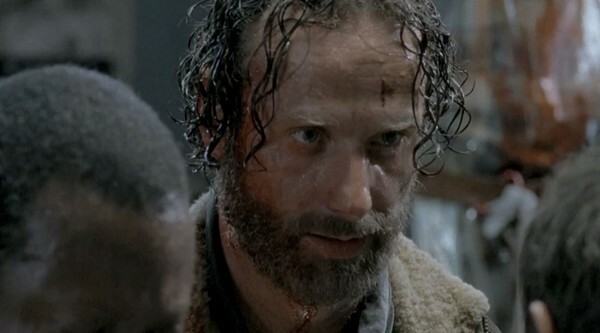 Final Thoughts -- Both Rick and Carol are pretty darn cold, leaving Terminus members to be eaten by zombies. I wonder what overly righteous Rick from season four would think? Personally, I'm thrilled Rick is still getting his hands dirty. No one liked sanctimonious Rick. -- Has anyone asked about Beth? Tyreese was being spoken about in the boxcar, but I didn't hear anything about Beth. -- I'd love to see a Carol and Michonne tag-team fight scene. Actually, I'd just love to see those two interact. -- I have a sneaking suspicion we will be seeing that menacing man from the end of the episode again.